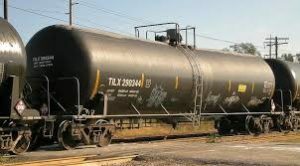 “How disgusting they are, those dirty tanker cars,” says a local resident at the end of a meeting. “They mess up the natural scenery of the southern entrance to our Sonoma Valley wine country. They must be dangerous, and I hate the way they look. But I guess there is nothing we can do to make them go away”. Then, one windy morning after a rainy period in December that has seen some flooding, a loud explosion wakens many of the locals still nervous from the October fires. A section of the saturated marshland that underlies the rail-storage yard has collapsed under the weight of more than a hundred fully-loaded tanker-cars stored there. One of the tankers has ruptured, and toxic chemicals are pouring into Railroad Slough. Soon to be on their way to Sonoma Creek and the Baylands and the San Pablo Wildlife Preserve. Then to the waters of San Francisco Bay beyond. A spark from the rupturing steel tanker ignites an escaping cloud of pressurized petroleum gas, and a huge ball of fire rushes across the landscape. Four feet above the ground, the flaring mass of expanding gas called a “bleve” incinerates everything within a mile radius as it travels. Power lines fall shutting off power to the entire area. Several new fires flare up along the blast’s perimeter. The wind from the blast carries the fire deep into the developed areas along both sides of Highways 121 and 116. Just like the winds that fed the October fires last year. The local fire station, home-base to the first responders in a disaster like this, is hit by the blast wave, and it is the first to burn. Transmission lines and a tower goes down in the blast, and the new PG&E natural gas switching station across from the firehouse also explodes. All gas and electric services to the entire south end of the Sonoma Valley are shut down. Calls go out to up-valley fire fighters, pleading for them to join in to fight the fires and to help evacuate the people who are in danger. As always, they are on the way. Cornerstone, Larson Winery, Jacuzzi and many of the wineries and businesses along Arnold Drive are damaged by the blast. Buildings there are on fire. The Schellville airport, the landing place for air rescue planes, is gone. All three cross-valley highways are closed to through-traffic. The fire spreads among the nearly 160 tanker cars that are stored in the yard. Several overturn or rupture in the blasts that follow. One by one, they explode. Eight hundred milk-cows at the historic Mulas Dairy are killed, the buildings devastated. Ceja Winery and the nearby homes and farms are gone. The new concrete warehouse buildings at Victory Station are scorched and badly damaged. Access for fire fighting is cut off, and the wood in the roofs and outside canopies is afire. The pallet manufacturing plant down the street is already on fire. The flames feed on its stored lumber and its pallets ready for market. Another local business gone! A fire-ball generated by the tanker car nearest to the 8th Street end of the track sets the nearby trees alight. The fire driven windstorm it causes reaches the local waste-water treatment plant. The fires it starts there, plus the region-wide loss of power caused by the explosion and fire, shuts down all pumps and sensing equipment. Sewage treatment services for the entire City of Sonoma are interrupted, and thirty thousand people are in danger of evacuation for lack of sewer services! Months later, the area is still devastated. Insurance claims do not meet costs, rebuilding is slowed, sensitive environments will never recover, and the entrance to our beautiful valley is a scorched moonscape! This entry was posted in Blog on December 30, 2018 by Michael Catanzaro.